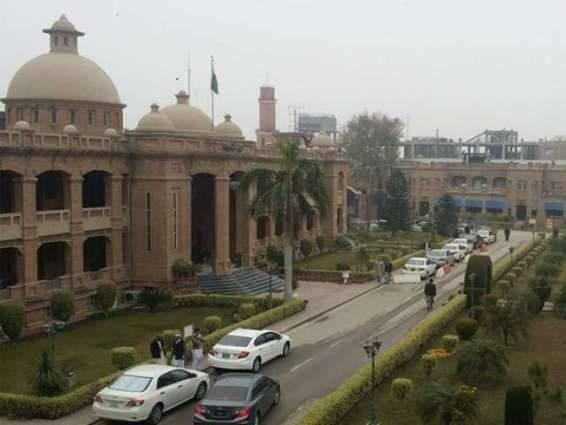 PESHAWAR, (UrduPoint / Pakistan Point News - 16th Apr, 2019 ) :The Departmental Examination (1st Term 2019) for the BS-17 officers of Pakistan Administrative Service (PAS) and District Management Service (DMS) will be held from April 22, 2019 to May 02, 2019 in Staff Training Institute Benevolent Fund Building, Saddar, Road Peshawar Cantt. A notification issued here said that the candidates are required to bring their own books/bare Act (without commentary) for the papers to be answered with the aid of books, In case the candidates fail to bring their own books/bare Acts (without commentary), the Examination Section shall not be responsible to provide them books for answering the question papers. Any candidate found having books others than bare Acts will be disallowed to take the Examination. The candidate are also advised in their own interest to bring their own pen, pencil and paper board etc, for the Examination. The answer sheets will however, be provided by the Examination Section. No mobile phone, laptop or other audio visual, equipment for the purpose of soft copies of bare acts/required books shall be brought to the Examination Hall. All candidates are required to bring their original National Identity Card (NIC) on the day of examination and Any violation of the above instructions may lead to strict action including cancellation of the paper. It was notified by Establishment Department, Government of Khyber Pakhtunkhwa.